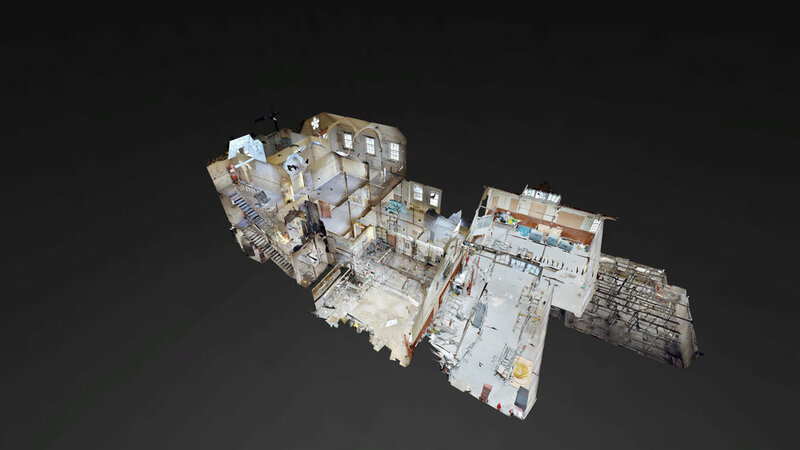 Comprising of 287 individual scan points this site Schedule of Condition was carried out for the Goldsmith Group. The Post office is an early 20th century site due for renovations throughout 2018-2019. Survey carried out by Weston Media for the Goldsmith Group, whom the scan is licensed. Please do not share without permission, contact sam@westonmedia.co.uk for licensing. The Dollhouse view feature of the Post Office.